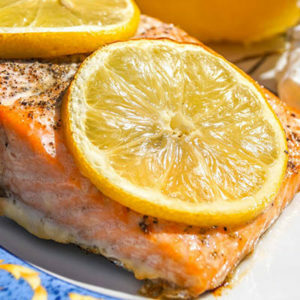 Time for a chef’s secret, revealed right here, to make your grilled salmon something special. Before cooking, chefs often soak their salmon pieces in salted water to make the fish stay moist while it cooks. Put your fish into 2 quarts of water, and 5 tablespoons of salt. Let it sit there for 20 minutes, and dry them off with paper towels just before cooking, whether you grill, broil, sauté or bake them. Why shouldn’t you know how to make restaurant-worthy salmon?